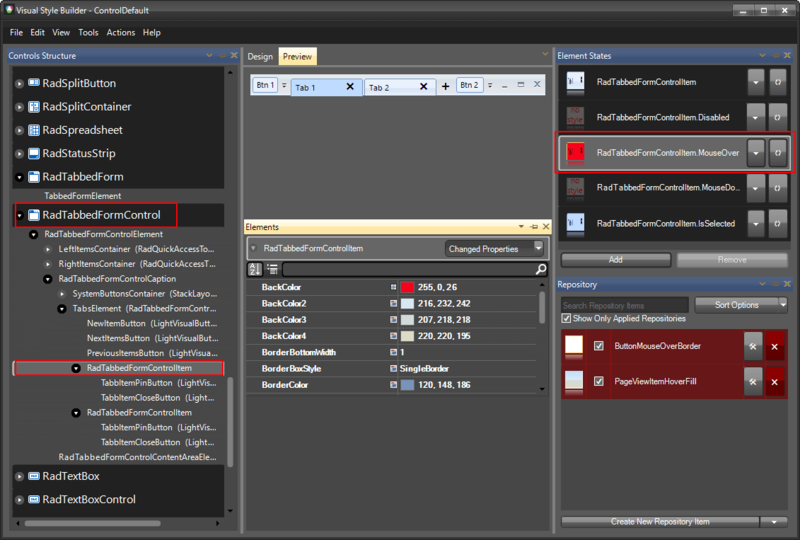 This help article will demonstrate a step by step tutorial how to customize the ControlDefault theme for RadTabbedForm. The RadTabbedFormControl item in Visual Style Builder gives you access to the title bar, the tabs and all the default buttons. Select RadTabbedFormControl in Controls Structure on the left side. Then, select MouseOver in the Element States section. Modify the BackColor and the Gradient Style of the item. Now, when a tab is hovered its back color will be red. 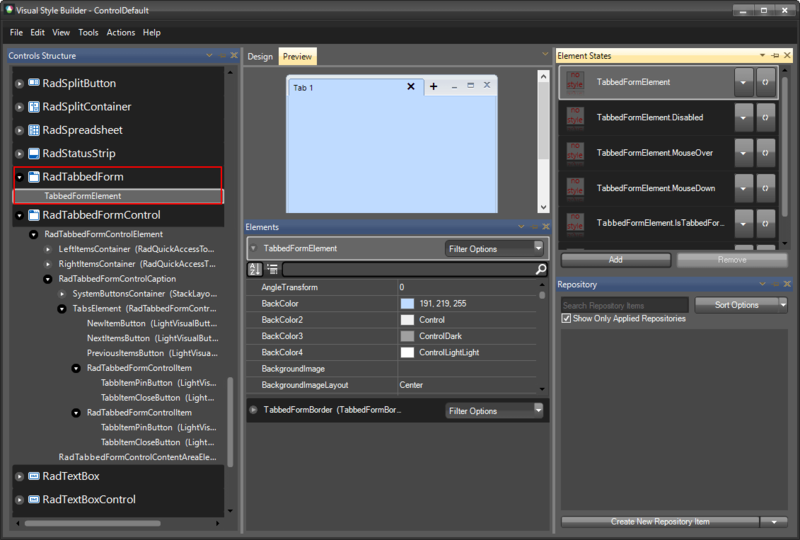 The RadTabbedForm item in Visual Style Builder gives you access to the content area and the border of the form. 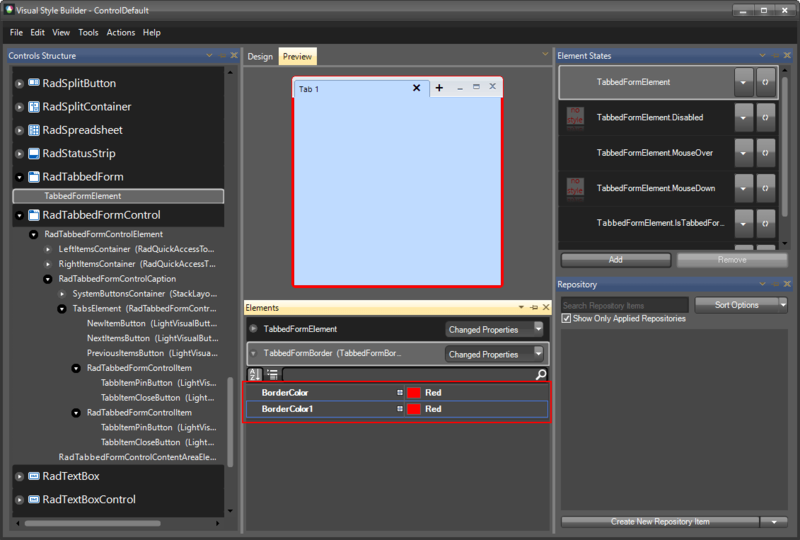 Select RadTabbedFormElement in Controls Structure on the left side. Modify the BorderColor of the item.